Marathon, Florida is a perfect vacation destination for families. Marathon is thought of as “The heart of the Florida Keys” not only because it is geographically located midway between Key Largo and Key West, but also because it offers a little bit from all of the Keys. Marathon is an easy drive from the Miami area and lies at the upper end of the famous Seven Mile Bridge. 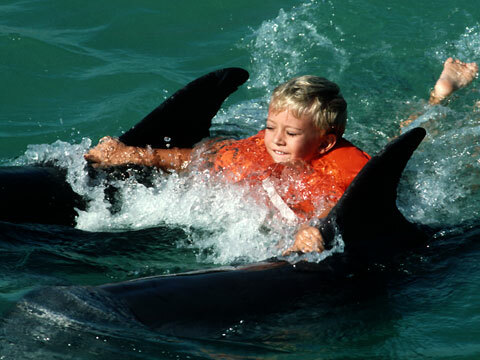 Here, vacationers can swim with the dolphins and enjoy fantastic dolphin shows while learning about local area sea life. Bring your family to meet the dolphins and sea lions. Enjoy an hour or stay all day learning about these incredible marine mammals. Enjoy dolphin swims and other encounters, plus other fun chances to actually touch a dolphin! Another fantastic Marathon attraction is The Turtle Hospital. The Turtle Hospital contains up-to-date equipment needed to perform a variety of surgeries on different species and sizes of sea turtles. More than half of this equipment has been donated by local hospitals and doctors, and some equipment has been donated by environmentally- friendly organizations and individuals. Guests are invited to take a guided tour of the hospital facilities and stroll through the sea turtle rehabilitation area. Guests will also see a short slide show presentation on what we do here at the hospital as well as feed the permanent residents. Another wonderful attraction is historic Pigeon Key. The Pigeon Key Foundation & Marine Science Center. Here, Henry Flagler saw the potential for the Keys and opened the islands of the Florida Keys to the world. What was once called Flagler’s Folly has become Flagler’s Legend. Please come inside and see where history, marine science, architecture and education come together on one small 5-acre island!